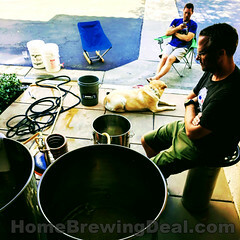 It is the goal of HomebrewingDeal.com to list the best home beer brewing deals that are available at any given time. 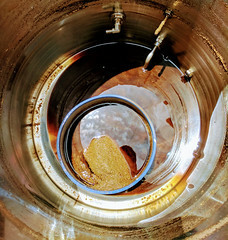 We list homebrewing deals on everything from homebrewing kits to brew rigs. We features coupon codes and promo codes from the biggest and best home brewing supply shops on the internet. Each day we hunt down the best homebrew deals and coupon codes and list them for you. 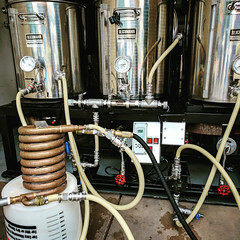 If you would like real time alerts on when a new homebrewing deal becomes available, just fill out the follow form on the side of the page and you will be notified of any new home brew deals! We track homebrewing coupon codes for all of the big homebrew supply shops including MoreBeer.com, NorthernBrewer.com, MidwestSupplies.com, Homebrewing.org, GreatFermentations.com and HomebrewSupply.com. When we are notified of a new coupon code from any of them, we will post it here. For our home wine making brothers and sisters, we also post home wine making coupon codes and promo codes. To search for coupons by specific online homebrewing supply shops, simply click on one of the following links or use the navigation at the top of the page. If you come across a promo codes that is not listed on Homebrewing Deal, please let us know and we will get it added! 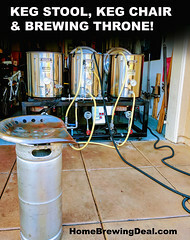 Thanks for stopping by our home brewing blog and happy brewing!